Visit these three patios if you’re looking for a Bulldog, a big batch of sangria or two litres of beer in a boot. Charbar’s Rooftop Bar @ The Simmons. While the Simmons Building’s rooftop bar falls under the Charbar umbrella, it’s got a separate menu from the indoor part of the restaurant. 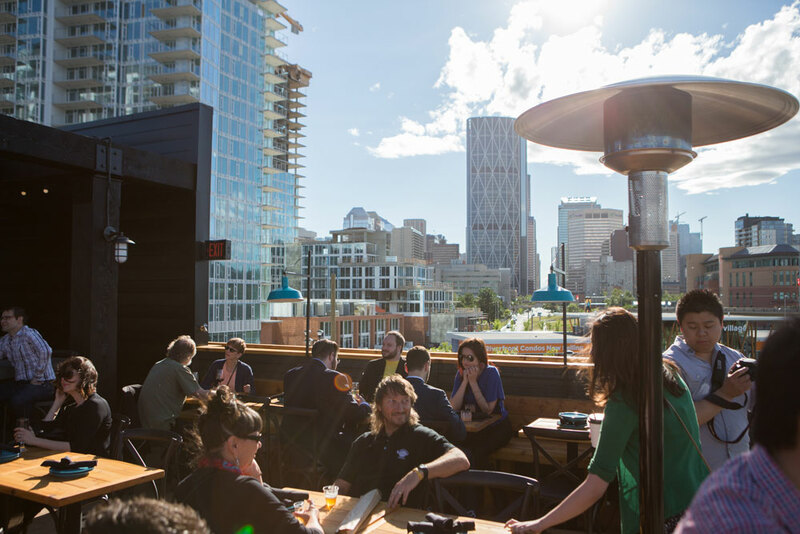 The food menu is more casual than what you’ll find downstairs (share platters, sandwiches and such), and, of course, special summer drinks get whipped up behind the dedicated rooftop bar. In addition to a great selection of beer and wine, look for big batches of sangria and jugs of slushies served virgin or spiked with your booze of choice. 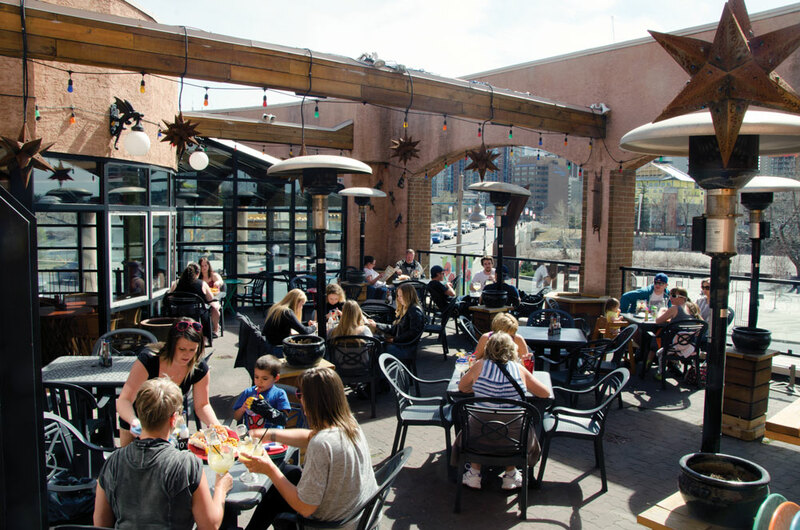 Julio’s 90-person second-level patio on Memorial Drive is heated, which means the alfresco margaritas start flowing as soon as the snow stops. Julio’s serves up eight different varieties of Bulldogs (basically, a beer upended in a margarita or another slushy drink), pitchers and fishbowls of margaritas or daiquiris and jugs of sangria for guests as they look out on one of the best views of downtown from any restaurant on the west side of the Bow. Wurst’s two-litre beer boot and a personal beer stein that the bar keeps for the patron. Beer is the word at Wurst, and, if you’re a dedicated beer-drinker, why order a pint when you can opt for something bigger? 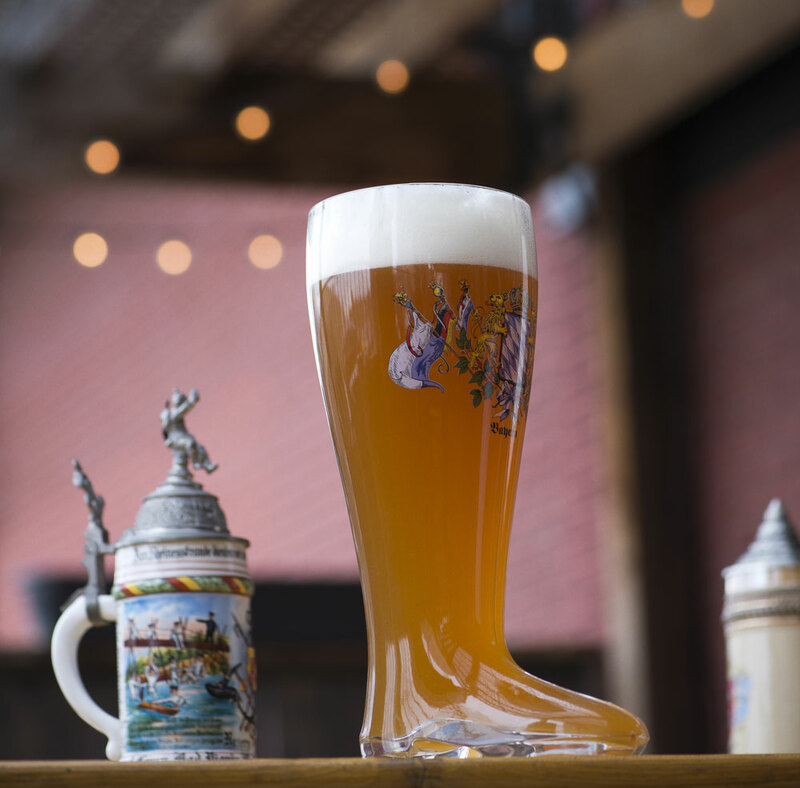 The two-litre boot filled with any draft on tap, domestic or imported, is meant to be shared, and the various flights offered also make for a fun round of patio drinking. Cocktails are only available by the single, but there is a list of seasonal creations for easy summer drinking.